A great little community for Calgary Real Estate. Below you can view all the homes currently For Sale in McKenzie Towne Calgary. Email Glen at Glen@Godlonton.com for more details on any of theses great homes. Drop us a line to find out Current Sale Prices and details about any properties that may be coming to market in the future ! 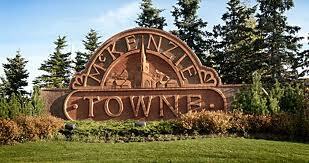 McKenzie Towne is a master planned residential neighbourhood in the southeast of Calgary, Alberta. Developed by Carma Developers LP. This community is bordered on the west by Deerfoot Trail, on the south by Stoney Trail , on the east by 52 St. 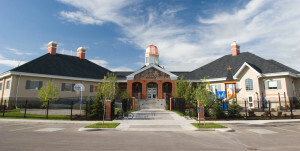 S.E., and to the north by the South Trail regional commercial centre along 130 Ave. S.E. McKenzie Towne is master planned Neotraditional Community designed to reflect a smalltown, complete with both street front retail, mid size commercial offerings, a wide variety of single family homes, apartments, town houses, churches, seniors care facilities, public and separate board elementary schools, and traditional architecture. McKenzie Towne Calgary boasts many recreational features, including: the McKenzie Town Hall, a gymnasium, meeting and banquet facilities, and a private outdoor park area; a network of paved pathways and green spaces; a fountain and splash park; and numerous ponds. McKenzie Towne also contains one Separate School Board elementary school and a public elementary school. The neighbourhood is divided into four distinct areas: Inverness, Elgin, Prestwick, and High Street. Each of the three areas of Mckenzie towne offer complimenting architectural styles. Elgin features six styles of architecture designed to reflect Europe. English Cottage, Greek Revival, English Tudor, French Eclectic, Italianate, and English Arts & Crafts. Prestwick and Inverness follows four styles: Queen Anne (Victorian),Georgian, Craftsman, and National. High Street is the commercial area, designed by Gibbs Gage Architects. McKenzie Towne has been developing since 1995 and has approximately three years of residential development left to complete. Located at the traffic circle, McKenzie Towne Hall is a central amenity that offers a versatile space for recreation activities, meetings, events and rental space. The 16,000 sq. ft. building boasts a 125-seating capacity Banquet Hall (divisible into 2 or 3 separate rooms), perfect for weddings, anniversaries and birthday parties. It also contains a gymnasium, excellent for floor hockey, basketball and large events. 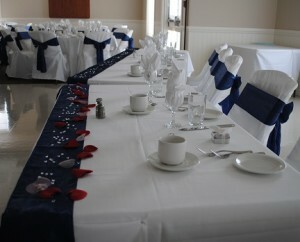 There are also 2 multi-purpose rooms available for meetings, kids birthday parties, etc. The administrative offices and maintenance department of the McKenzie Towne Council are also housed in this building. Knowledgeable staff are available 7 days a week. They can answer questions in regards to rentals, recreation, drop-in, special events, fees, etc. McKenzie Towne Hall features a wide variety of rooms available for rent, such as: banquet rooms, meeting rooms, multi-purpose rooms and a gymnasium. Our Rental Guide explains in detail our affordable birthday, bridal and business packages. Planning a wedding, birthday or anniversary? Our Banquet Hall is a versatile venue that features a classic look for all functions; white wainscoting with trim and neutral wall colours. The facility may be rented for private functions only. Rental for public events is not permitted. The facility may be used for activities that are not advertised, no fees charged, and there is no intention to market or sell products or services. Ensure that you book at least 2 weeks in advance. Check out the FAQ page to help ease your mind and answer some of your important questions. For additional rental information or to inquire about rental space contact the Facilities Coordinator by email or by phone 403-781-6612 Extension 1.